Your favorite shower gels ? What's your favorite shower gels for the body ? Use currently Crabtree & Evelyn, in 3 different scent variants. Alba Botanica Very Emollient shower gel. I like the honey mango and the island citrus scents. Fairly cheap, no yucky ingredients, and available at Target! It's a big 28 ounce bottle with a pump and it's available at Walmart for under 4 bucks. I like the spicy scent. To be honest I just use dial body wash pretty much any of the scents. The magnetic one is in my stall right now. I like things that work. Meißner Tremonia paste. 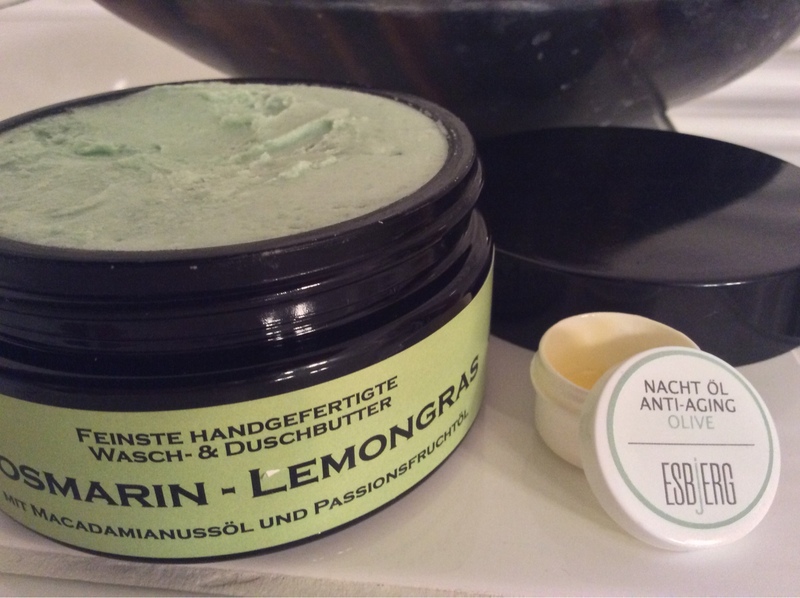 Same outstanding skin care quality as the shaving soaps, nice scents - and the jars ooze quality, too. Pricey, but extremely efficient. I used to use Bronnley before, but their price/performance ratio is significantly lower. Speick bath/hair gel. Great all over cleanser with an incredible scent!!! I tend to use bath soaps these days but I am still a fan of Original Source shower gels. Their Mint, Lime and Lemon scents are great. My missus uses quite a nice orange scented one by Soap and Glory called Orangasm. For me its been Dove! Skin always feels cleaned and moisturized. It does have that streaky dry feeling. But one shower gel I would like to try out is Dr. Bronners peppermint or citrus. It's got a spicy scent to it and it's a total hair, body, and face wash. It's sold at Walmart in a 28 ounce pump bottle. (09-12-2015, 08:50 AM)chevyguy Wrote: Alpine Extreme Shockwave. I'll put this on my Walmart list! I have never tried this one. The dove clean comfort has been my favorite for awhile. I use the deodorant, body spray and body wash.
(09-03-2015, 01:05 AM)CHSeifert Wrote: Looking for inspiration. Tangential, but still on-topic, sort of: what on earth is the appeal of shower gels (or liquid soaps in the shower)? Our 42-year-old son, who grew up in our household in the 1970s and 1980s showering with real soap, has but one (1!) bar of honest soap in his home, which he and his wife bring out of the closet for my wife and me when we visit them. He has told us, confidentially, that he prefers to use honest-to-goodness bar soap in the shower himself, but his wife, who is the type who never has met a fad diet that she did not embrace whole-heartedly (for a week), would not allow any bar soap in the shower of the bathroom that they share, so he has gone along with using shower gels to preserve domestic harmony. My bride and I both regard real soap, in a bar, as one of the greatest inventions in the history of humankind, and a true advance in civilization. Among indulgent true luxuries, soaps have long been high on the list, yet affordable. Mystic Water Goat Milk shower (facial) soap (Michelle Burns's) is the best skin-friendly moisturizing bar soap, and, coincidentally, among the best scented soaps, that we have ever encountered, and I have to order bars of it in quantity, because my bride inevitably gives more than half of each order away to friends as gifts, for which generosity she always receives back copious thanks, not only at the time of giving, but also for weeks after her friends have used the soap. When our son and his family were scheduled to visit us in Portland, I went to various stores to find a bottle of something for them to use in the shower, and, reading the list of the ingredients on the label, I found some of them to overlap the ingredients of the stuff that we use to clean grease spots off our garage floor. What is the appeal of shower gels?